As parents we are the best advocates for our children. When a child has a rare disease that advocacy becomes all the more important. The nature of our children means that from time to time situations will arise where our children are not catered for. This is what happened back in February when Pharmac, the government agency in charge of funding medicines and medical devices in New Zealand, announced plans to fund insulin pumps. 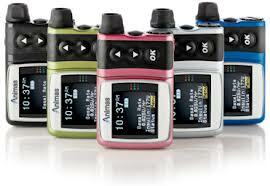 This was a welcomed move as funding for insulin pumps until now has been on a piecemeal basis by different regional health boards that has amounted to a bit of a lottery. However, the criteria to get funding presented a problem for us. Only type 1s would be funded and there were strict criteria based on maintaining HbA1c levels lower than pre-pump levels. As Finlay is not type 1 he would not qualify and as he was put on a pump only a few days after birth there is no pre-pump data to compare against. So I found myself firing off a detailed email pointing out that their proposal would leave some diabetics without the care they need. Having never done anything like this before I had no idea what would happen. But earlier this month they published their revised policy and it seems they listened! In what one of the diabetes nurses jokingly called the 'Finlay Clause' the revised decision now contains criteria for those with permanent neonatal diabetes to get insulin pumps and consumables. There is no requirement for these individuals to maintain specific HbA1c targets, only that a multidisciplinary team regards multiple daily injection regime as inappropriate and they consider the patient continues to benefit from the insulin pump. This is excellent news as it addresses my main concerns. I’m sure their decision was not solely due to my correspondence, and I am aware that others had mentioned Finlay in their submissions, but I am delighted with my first foray into government policy consultation. In a separate document where they outline their responses to people’s submissions they specifically mention pancreatic agenesis in the section on neonatal diabetes, possibly the first mention of the disease in government policy documents anywhere in the world. In my submission I mentioned three groups of patients: neonatal diabetics, those who have had their pancreases removed surgically, and Cystic Fibrosis patients who have developed diabetes as examples of non-type 1 diabetics that would be affected by their decision. I’m pleased to say that the first two groups are both now covered and CF patients may be included following a cost benefit analysis that is being carried out. In my mind it is a no-brainer. Hopefully Pharmac will agree. So I am really very pleased with the outcome. Some of their other decisions around glucose test strips I don’t agree with and the strict criteria for type 1s to get insulin pumps may mean many will miss out but I am glad that with respect to my concerns they have listened.